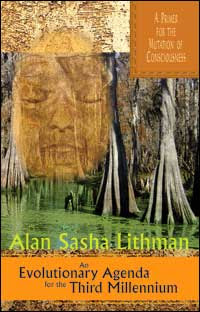 ALAN SASHA LITHMAN was in the forefront of the most positive social changes taking place in the ‘60s, joining the global community-building experiment of Auroville, India, which continues today. After meeting The Mother of Sri Aurobindo Ashram in nearby Pondicherry, he helped jumpstart the movement that turned an ecologically ravaged plateau into a lushly vegetated, multicultural community. This evolutionary activist is a lecturer-writer engaged in a number of social, environmental, and community-based initiatives worldwide, including the Institute of Noetic Sciences, which helped underwrite this book.